This is the Part 3 of our review series on the Philippine Designer’s Gala 2018 fashion show. Entertainment News Portal’s (formerly Pageant Buzz) correspondent Dale Gregory Medina walk us through on what had happened at the said fashion show held last July 29 at Sequioa Hotel, Quezon City. A dramatic inspiration to the designs was shown by the 21st designer of the evening, Ron Ramiro. The collection shows an apologetic and orthodox interpretation of love. The inclusion of head accessories made the collection more unconventional. An Indonesian fashion designer also participate the event. The 22nd designer of the evening, Akbar Jura’s creations show a modern touch on women’s casual wear. The combination of black, white and pink colors glance the runway. The inclusion of earth inspired materials made the collection more interesting. Vince Borja a.k.a Amado Mio was the 23rd designer to slay the runway. His collection has no specific inspiration, for him, fashion is about personal lifestyle. His first creation to take the runway was a Filipiniana dress with a twist. Upon looking at his designs, this designer has a more experimental way in creating his masterpieces. To sum up, his creations were experimentally beautiful and elegant. Kalid Kalid was 24th designer to conquer the runway. His goal in making his creations was to make women more confident, vivid and feminine. The sparkling evening gowns will surely make any woman elegant and sophisticated. The men’s wear in his collection unleashes masculinity with gentleness. Christopher Egne was the 25th designer of the night. His collection embraces sophistication and femininity. The pink with floral inclusion and a bit of glitz on the designs made the collection elegantly feminine. Strong, powerful and monochromatic neutral color was showcased by the 26th designer of the evening, Sir Hans Jeo Rapanan. Every creation presented on the runway was appropriate for any occasions, practical yet very fashion forward. Another collection that has the potential to be seen in a pageant scene is the collection of the 27th designer of the evening, Niel Catapang. Niel’s collections are simple but elegant perfect to be worn by a beauty queen. The collections are regally feminine. Mindanao inspired collection was presented on the runway by the 28th designer of the evening, Christopher Ledesma. The designs showcased the different culture and tribes in Mindanao. The collections somehow gave everyone a tour to the beautiful Mindanao. Dogg Ficher brought shock to the audience. He is the 29th designer to take the runway. The collections are shockingly amazing. It is not the typical type of fashion you will see on the runway. This designer is really a daredevil, in my opinion, he has a more liberal and radical way of expressing fashion. From a liberal touch to a more practical design, Nicole Weygan Rodriguez was the 30th designer to take the runway. Her designs are practically fashion forward. Every creation presented to the runway was stylistic, sophisticated yet simple. Every single piece is ready to be worn in any occasions. The last designer to slay the runway is the timeless and very talented Antonio Antonio. Sir Antonio’s collection was glittery and geometric. The floral infusion to the collection is very Antonio Antonio. His creations is another very millennial that can be appreciated by any generations. The students from ICE (Institute for Creative Entrepreneurship) also conquer the runway with one of their signature masterpiece. The fashion show ended with the awarding of the Designer of the Night and the awarding of the people who made the show possible, the photographers and the official media partners including Pageant Buzz now known as Entertainment News Portal. The show only shows that Filipino designers are the most talented and the most creative in the whole world. Dale is a public school Science teacher who has passion in pageantry and fashion. He is a food lover and loves to travel the Philippines and the world to taste the different cultures has to offer. In less than two months, Laura Lehmann will pass her Miss World Philippines crown. 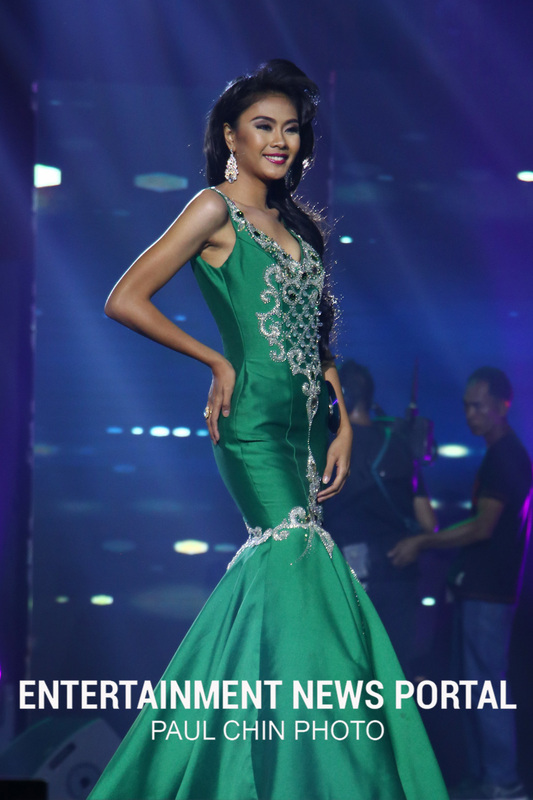 One of the 40 ladies who is vying for the crown is Michelle Oliva from Davao City. Michelle Oliva, mostly known as Mich is a 24 year old fresh graduate from the University of Asia and the Pacific. She is a proud athlete playing a lot of sports such as volleyball badminton and basketball. She was the team captain of Ateneo de Davao University Basketball girls before and represented Davao region in Palarong Pambansa. Aside from being an athlete, she enjoys modeling and spending time with her family. In my exclusive interview with her, she shares her Beauty with a Purpose campaign. “Coming from a family of athletes, I believe that with the advancing technology today, social media has a lot of negative effects most especially on kids. By engaging these children with sports, we can lessen the negative effects of social media as well as help them be strong and disciplined children. With sports, I believe we can help people, kids most especially, champion their better futures.” Oliva shares. Asked why she joined Miss World Philippines? Miss World Philippines 2018 coronation night will be held on October 7 at MOA Arena. You can follow her MWP journey through her official IG account. Entertainment News Portal had the chance to cover the final screening of Miss World Philippines today, August 15, at House Manila. The media, friends and supporters of the applicants could hear the happenings inside the screening room though we are only adjacent to the venue. According to Bessie Bessana, 65 girls submitted their application but only 59 actually showed up. The girls are grouped into 5 where they face the screening committee composed of reigning Miss World Philippines queens, officials and executive of Miss World Philippines and Resort World Manila. Each girl would have to introduce themselves stating their names, background or advocacy in one minute. After that, they would answer the questions thrown by the screening committee. Katarina Rodriguez arrives at House Manila for the Miss World Philippines 2018 final screening on August 15, 2018. We managed to video record the Q&A performances of Katarina Rodriguez and Arienne Calingo, some of the most talked applicants of Miss World PH 2018. Katarina Rodriguez was crowned Bb. Pilipinas-Intercontinental 2017 and represented the Philippines at Miss Intercontinental. She placed as first runner-up. Meanwhile, Calingo competed at Ms. World Philippines 2016 and got the first princess crown. She also participated in Bb. Pilipinas 2017 and managed to be in the Top 25 semifinalist. Arienne Calingo arrives at House Manila for the Miss World Philippines 2018 final screening on August 15, 2018. Watch the videos below. You could not see the face of Rodriguez and Calingo since the actual screening venue are off limits to the public. Thus, you can only hear their voice. LOOK: Who are spotted at the Miss World Philippines 2018 final screening? Kim de Guzman, Arienne Calingo, Katarina Rodriguez and Maureen Montagne arrives at House Manila for Miss World Philippines 2018 final screening. Miss World Philippines fever is on. The final screening of the second largest pageant in the Philippines is held today at House Manila. According to Bessie Bessana, General Manager of Miss World Philippines 2018, 65 ladies submitted their application but only 59 showed up in the final screening. The screening committee is composed of the Miss World Philippines 2017 queens, executives from Miss World Philippines Organization and Resorts World Manila. They will select 40 official candidates that will be announced later today, 37 of them will come from the ladies who screened today at House Manila. The remaining three (3) come from the other countries. Spotted are familiar faces in the pageant world such as Katarina Rodriguez (Miss Intercontinental 2017 First Runner-up), Maureen Montagne (Miss Arizona USA 2015), Kim de Guzman (Miss Air Philippines 2017), Arienne Calingo (Bb. Pilipinas 2017 Top 25 finalist) and Gail Tobes (Miss Manila 2017). Catch the coronation night on October 7 at MOA Arena. Aside from the Miss World Philippines crown, there are three other crowns at stake namely: Reina Hispanoamericana, Miss Eco International Philippines and Miss Multinational Philippines. Here are the photos taken at the final screening. This is the Part 2 of our review series on the recently concluded Philippine Designer’s Gala 2018 fashion show. Entertainment News Portal’s (formerly Pageant Buzz) correspondent Dale Gregory Medina walk us through on what had happened at the said fashion show held last July 29 at Sequioa Hotel, Quezon City. MANILA, Philippines - Thirty one (31) of the most talented young designers showed how spectacularly world class Filipinos is during the Philippine Designers Gala 2018. Focusing on silhouettes, the 11th designer of the evening, Marko Philip’s design is not just neutral. It also shows radical expression through fashion. The inclusion of the head accessories on the designs made every collection more powerful and eye catching. The richness and colorful culture of Cordillera has been manifested to the collections of the 12th designer of the night, Julienne Paran. The fabrics used and the designs were very Cordilleran. What makes the collection more special is the millennial touch to its designs. The 13th designer of the evening is Alex Ganda Anore. His designs were emphasizing confidence, maturity, femininity and vividness of a woman. Every creations presented on the runway will make a woman like a precious gem. On the other hand, his collection of men’s wear shows masculinity with gentleness. One of the most effective and practically fashion forward designs this year was brought by Sir DC de Castro. He is the 14th designer to slay the runway. Sir DC’s designs were beyond your everyday basics, a more hip and fashion forward everyday attire. The creations are more on dark colors, focusing on silhouettes with sophistication in style. A very young talented designer shows his electrifying creation on the runway. The 15th designer of the evening, Sephy Seneres Bartolo. His design focuses on women’s femininity. The designs were soft and light in color that can emphasize women’s grace and femininity. In my personal opinion, Sephy’s collections are perfect to wear in the everyday activities of Miss International pageant. There is no doubt that one day; this young designer will dress beauty queens here and abroad. A feminine millennial style is shown by the 16th designer of the evening, Marie Rodeo. The playful combination of blue, black and white made the creations sophisticated and elegant. A playful earth colors was presented through the creations of the 17th designer of the evening, Frhyne Danan. The designs were light to neon colors making the collection lively to wear and on stage. The inclusion of some neutral color designs and masks brought some power to the collection. A pageant inspired collection was showcased by the 18th designer of the evening, Richie delos Reyes. The casual and evening wears created by Sir Richie are perfect in a pageant scene. The creations shows elegance, romanticism, and crowning of a beauty queen. Timelessness, colors and hand painted designs was evident on the designs of the 19th designer of the evening, Jolaida Nicolai. The colors of the collection are ranging from neutral to light colors, a proof that this designer doesn’t play safe on colors. The hand painted prints made the collection more interesting. The blue head dresses and animal prints brought power to the collections. The 20th designer of the evening is Sir Jhune Angeles. It’s like you were in a nature tripping upon seeing his collections. The designs embrace nature in a very unconventional sophisticated way. Watch out for our Part 3. You can read the part 1 here. Dale is a public school Science teacher. who has an ultimate passion in pageantry and in fashion. He is a food lover. His dream is to travel the Philippines and the world to taste the different cultures has to offer. 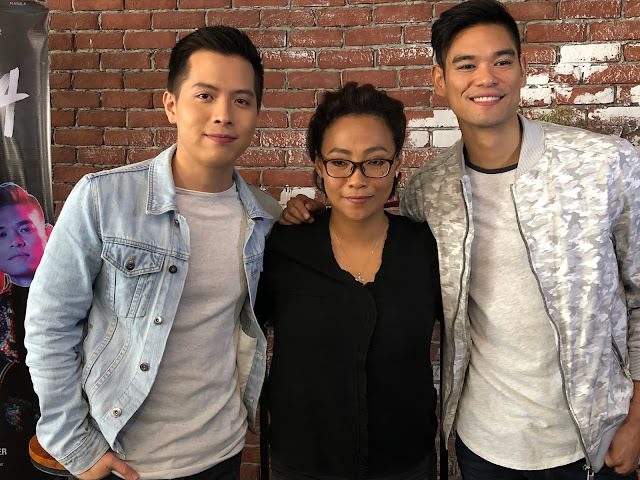 How do Jaya, Jay R and Jason Dy deal with singers who have ‘attitude’? R&B singers Jason Dy, Jaya and Jay R pose for photos during the press conference for SOULJA. 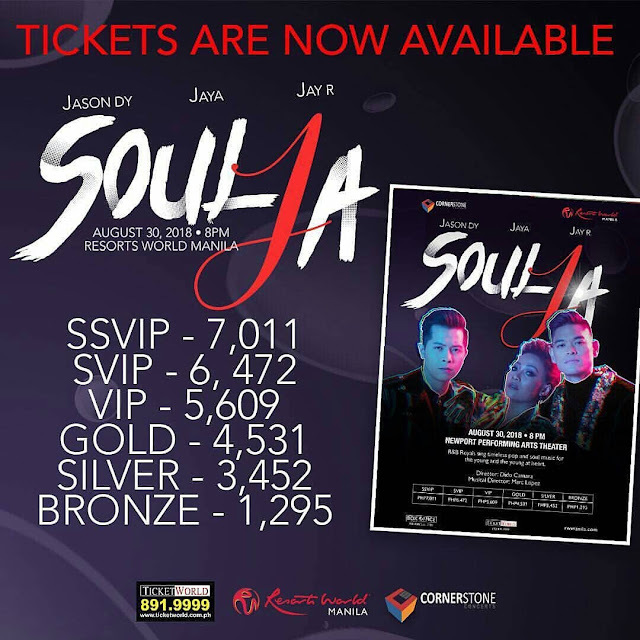 MANILA -- R&B Soul Royalties Jaya, Jay R and Jason has been in Philippine music industry for quite some time. Known as the ‘Queen of Soul’, Jaya still remains as one of the country’s music icon. She started in 1989 when she signed a record deal in the US. Meanwhile ‘King of Philippine R&B’ Jay R signed a contract in 2003 with Universal Record and the massive hit ‘Bakit Pa Ba’ was born. Jason Dy rose to fame upon winning the second season of The Voice Philippines. 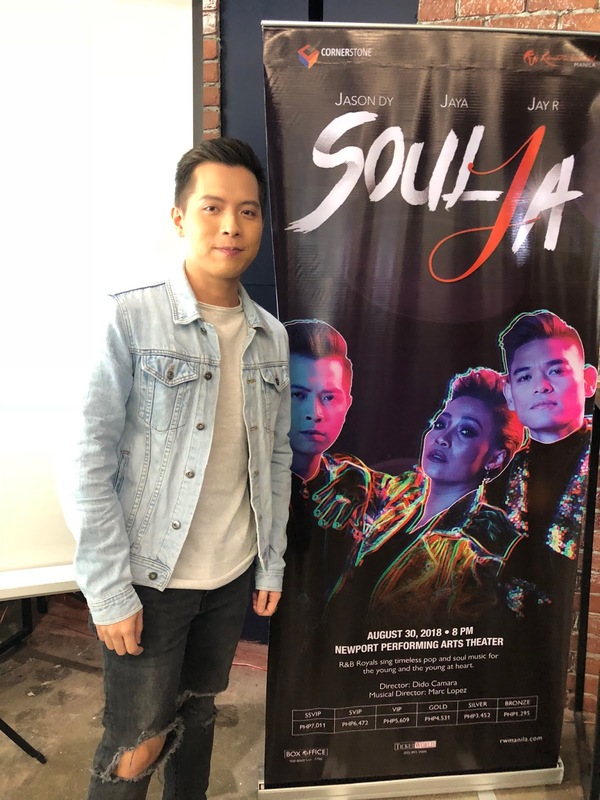 With the goal of continually promoting the R&B music scene in the Philippines, the country's best singers in this music genre will hold their concert titled SOULJA at the Newport Performing Arts Theater in Resorts World Manila on August 30. Just recently, the three R&B singers met some members of the media for their concert’s press conference at Cornerstone Studio in Quezon City. Ask how she would deal to young singers with attitude, Jaya shares her experience without mentioning names. “I’m just being honest. Sa TNT (Tawag ng Tanghalan), ‘di pa nga kilala eh may mga havey na mga attitude. Nalalaman namin yan. Pati ako dinadaan daanan lang. You know what I do? I ignore. What can you do to me? Inignore mo ako eh pag ikaw naramdaman mo yan, tingnan natin anong feeling diba? Just let them be. Pero marami din. Infairness talaga,” Jaya said to press. Jaya is a resident judge in Tawag ng Tanghalan, a reality singing competition in ABS-CBN's It’s Showtime. Jay R has a personal experience too when he was a regular act in SOP, a now defunct GMA-7 Sunday variety show. “May bagong artist. A very young guy. Nag R&B rin. Tita Gelyn Eugenio, dati kong manager, introduced me to this new artist. Nag usap kami. Sa handshake palang medyo ang tingin niya sa akin parang competitive na agad. Unang sinabi niya sa akin: ‘Hey man are your Jay R? I’m gonna be famous than you’. Tapus nung kumanta parang wala naman,” Jay-R shares. 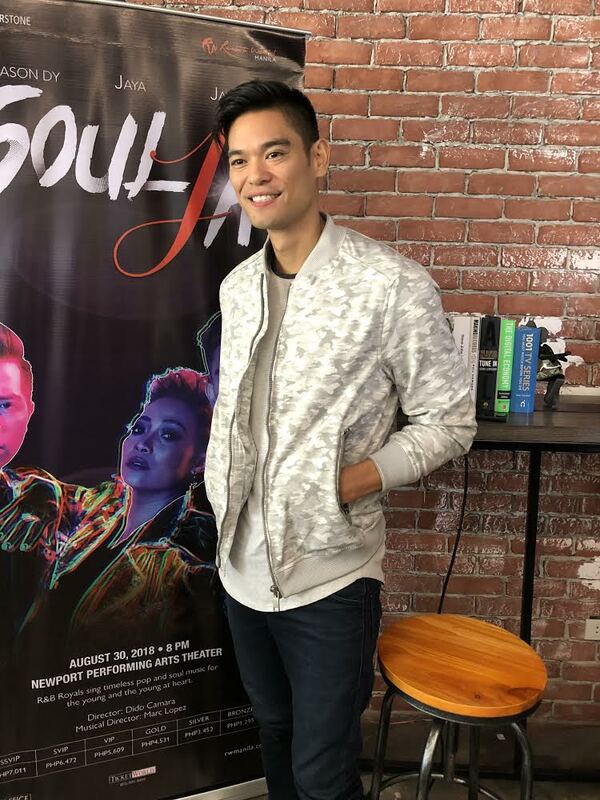 Jay R poses beside their concert's official poster. Meanwhile, Jason Dy confessed he has no bad experience with fellow singers. He said that he wants to understand the situation of other people. “Wala naman akong bad experience. I’m the type of person na ma benefit of the doubt. Kunwari pag may naramdaman ako na ano baka he/she is going through something or baka introverted lang siya. Kasi ako nung mga first few months ko nung kakapanalo ko kasi medyo introverted ako by nature kaya mahiyain talaga ako. Eh minsan pag ganun na mi misconstrue as being dismissive or parang mayabang, cold or isnabero. Pero ngayon I learned throughout na kelangan ko palang baguhin eh yun nga nagkakaroon ng maling impression. Wala naman akong naexperience naman personally pero may mga hearsays,” Dy addressed to the press. Jason Dy poses beside their concert's official poster. “SOULJA" is brought to you by Resorts World Manila and Cornerstone Concerts. For tickets, call Ticketworld at 891-9999 or log on to www.ticketworld.com.ph. The nineteen official candidates compete onstage during Miss Global Philippines 2018 evening gown competition. 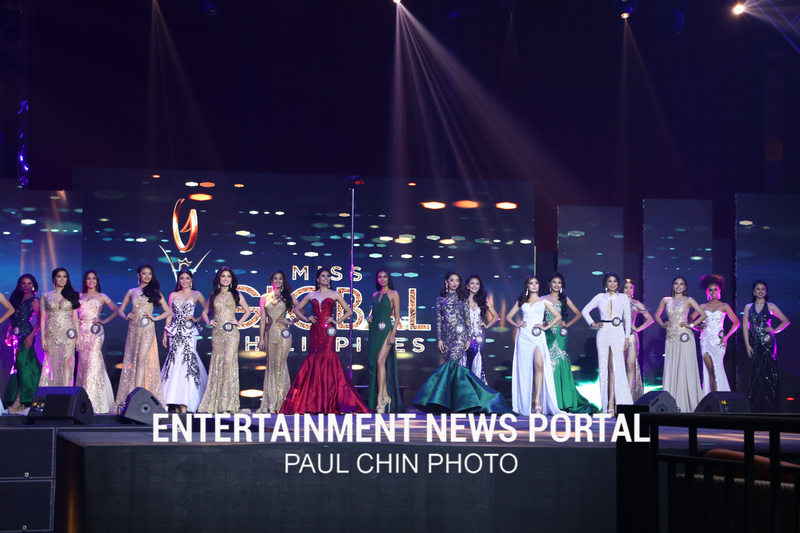 Elegance and sophistication was felt at Cove Manila as the 19 official candidates candidates compete onstage during the evening gown competition. Mary Eileen Gonzales, a single mom and former Star Magic artist won the coveted title. She will compete at the Miss Global 2018 international pageant later this year. Gonzales also bring home the "Best in Evening Gown" award. MANILA -- Comedy concert queen Ai-ai delas has been a trusted name by the big brands and companies in the Philippines. She just signed an endorsement deal with Bulalo World last August 4 at Bulalo World branch in Ayala Mall Feliz, Pasig City. “I’m happy kasi ako na ang bagong face ng Bulalo World. Thank you po kay Sir Gil at Sir Ed at sa lahat po ng partners ng Bulalo World. May forever pala sa Bulalo World. Ang Bulalo World lang ang nakapagpabalik sa akin sa pagkain ng meat. Natikman ko siya at nakapasarap. Lahat naman ng ini endorse ko ay talagang ginagamit ko kasi naniniwala ako sa produkto kaya nung natikman ko to specially kasi Batanguena ako so alam ko ang masarap. Tsaka lalong lalo na ang tawilis din masarap. Super sarap ang Bulalo World. Kaya game na game na.” delas Alas said. Also present in the contract signing are partners and executive officers of Bulalo World namely Gil Nemeño (President and CEO), Ed Lunas (Chairman), and Abigail Tan. “We would like to welcome Ms. Ai and thank you for your generous acceptance dito sa pag endorse ng Bulalo World. About three and a half years ago, Bulalo World has born. Medyo bata pa po ang brand na ito but truly we have big plans”, Bulalo World President Gil Nemeno said to the press. Nemeño hopes that with the Tanging Ina star’s endorsement, Bulalo World brand will be successful. “I was trying to read the story of Ms. Ai. She started as saleslady for Cinderella. The feeling of Ms. Ai having started as a saleslady and now a truly big star. The fame and celebrity status of Ms. Ai is something that we’d wish will be continuous enough to bring also Bulalo World. We believe that with Ms. Ai’s, Bulalao World will be the next success story in the fast-food industry. We believe that this contract signing is just the first phase of our dream of becoming truly a success,” Nemeño added. Prior signing the contract, delas Alas sought advise from her son since their family has a restaurant business too named ‘Ai Sarap Express’. She confirmed that Bulalo World has no conflict with her own restaurant since they cater different markets. Bulalo would not be complete without bone marrow. As confirmed by Nemeño, they imported bones from Argentina, France and Ireland. For those who are craving for bulalo, you don’t have to go to Tagaytay. Just visit their 25 branches in Metro Manila. For more information, just visit their official Facebook account. 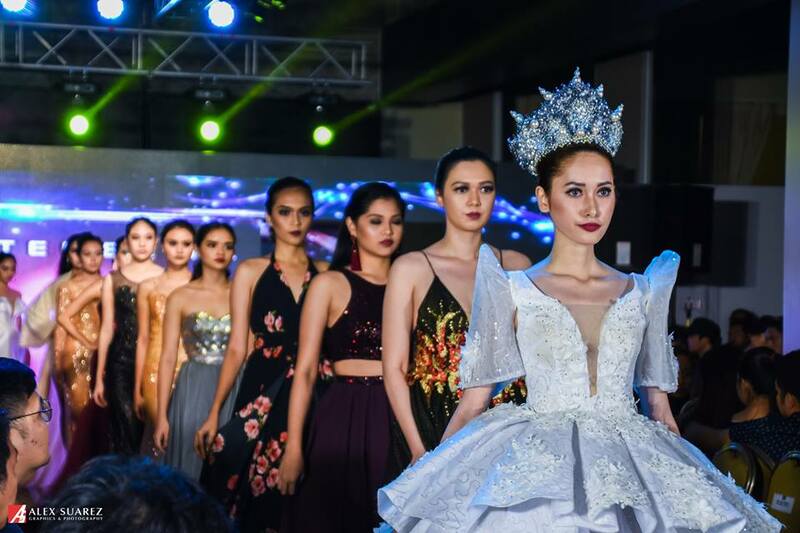 This is the Part 1 of our review series on the recently concluded Philippine Designer’s Gala 2018 fashion show. 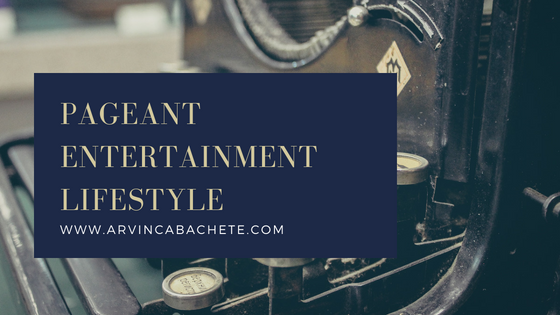 Entertainment News Portal’s (formerly Pageant Buzz) correspondent Dale Gregory Medina walk us through on what had happened at the said fashion show held last July 29 at Sequioa Hotel, Quezon City. The first to conquer the runway is Maestro John. Maestro is known for his love for the culture infused with his designs. It’s like you are embracing Filipino symbols and cultures while watching his creations slay the runway. His designs were not just spectacularly elegant but you will definitely love the richness in culture of the Philippines shown on it. Next is Nhoy Tenerife. Sir Nhoy’s creation showed elegance, class and realness’ of a woman. His creations will not just make a woman a lady but a true queen. The third designer to grace the runway is Edwin Uy. Sir Edwin is known for dressing beauty queens like Parul Shah and Sandra Lemonon. He proves that whoever wears his creations will surely transform into a confidently beautiful and elegant woman. His creations of men’s wear, on the other hand, show simplicity yet very manly in style. The fourth designer to take the runway is Marllon Tabangcura. His creations of women’s outfit are very classy, modern and sophisticated while his creations of men’s wear were very unconventional. In my personal opinion, his men’s wear collection is his signature. Marvin Garcia’s collection emphasizes power, more particularly on elegantly powerful queen. It is such a brilliant idea to infuse elegance, power, and a queenly aura in a design. Sir Marvin did a great job in combining those elements in his designs. If you want to look like a gem and still feminine and gentle at the same time, Leah Eroy’s collection is the perfect choice. Every woman who will wear her collection will definitely look like a gem with instilled femininity and gentleness. Her men’s wear collection represents a millennial debonair, very refreshing to the eyes. Black is beauty while white symbolizes purity, combining the two will make a great masterpiece. DANNA’s collection is the 7th to take the runway. The collection is an elegant black and white masterpiece for both men and women. For those who love neutral, DANNA’s collection will be the perfect choice. A very inspirational designer is the 8th to conquer the runway. Jan Louie Soliman is a disabled talented designer. His masterpieces brought calmness for the summer season. His creations were truly blossoming on stage. The inclusion of floral designs made it more refreshing to the eyes. Anyone who will wear his creations will surely blossom. Feminine, classy and powerful, those words are the best words to describe the masterpieces of the 9th designer of the night, Ralphie Joseph. Sir Ralphies collection elevates woman empowerment with class and femininity attached on it. Inspired by the Japanese culture, the 10th designer to conquer the runway, Sofia Jude Palmejar collections somehow brought us to a tour from the land of the rising sun. The designs are somehow very risky and mysterious but very effective. What I really love the most about the collection is that, it embraces the LGBTQA community. The collections can be worn by anyone regardless of gender preference. Watch out for the part 2. Dale is a public school Science teacher who has an ultimate passion in pageantry and in fashion. He is a food lover and his dream is to travel the Philippines and the world to taste the different cultures has to offer. The ladies heat up the stage of Okada Manila last August 4 as they competed during swimsuit competition. A new queen was crowned last August 4 at Cove Manila. 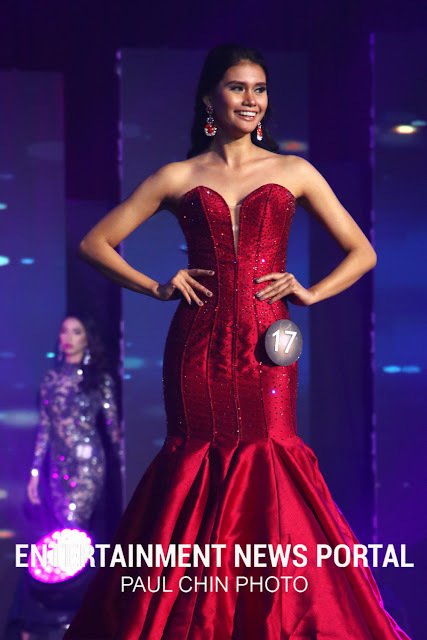 Mary Eileen Gonzales bested other 18 candidates as she took home the Miss Global Philippines 2018 crown. She is a single mother to a one-year old baby. 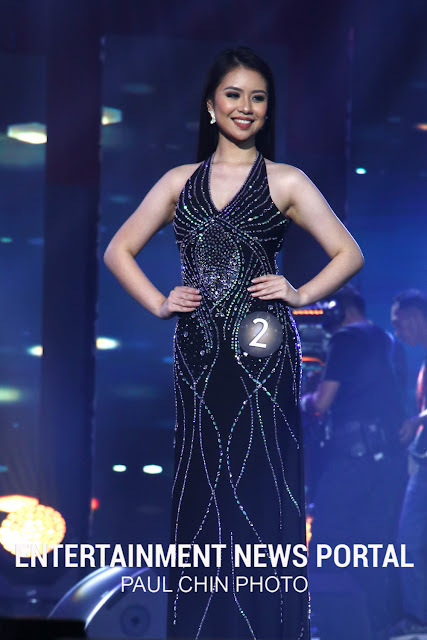 She joined last 2015 edition and placed as second runner-up. Here are the photos taken during the swimsuit competition. Best in Swimsuit award goes to contestant no. 19 Nicole Shey Dichoso.